Click on milestone/event and Edit window will open up. From here you can edit the details and click on Update, otherwise click Delete to remove items from calendar. 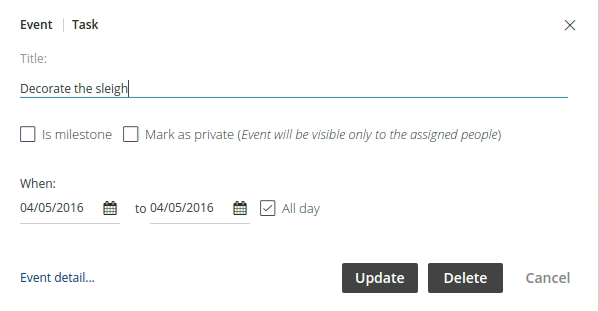 Note: You can also change the dates of milestones/events by simply dragging and dropping them to the desired dates.